Every LOB has its own theme which shows on LOB program, task point round, marketing and outfits of the passengers! This spring 2019 LOB’s theme is to be announced after the voting on our Facebook page is done. Previous LOB cruises has seen magic and fairytales, end of the world aka LOBcalypse, festival aka LOBfest, fantasy, LOB of the Carribbean and a lot more. Now for some cruises we have asked our passengers, LOBsters, what themes they would like to experience on LOB and we made votes for the theme. We love that LOBsters can participate in making of the LOB! You get to vote for theme and overall badge by following LOB-opiskelijaristeily on Facebook and joining the cruise event! 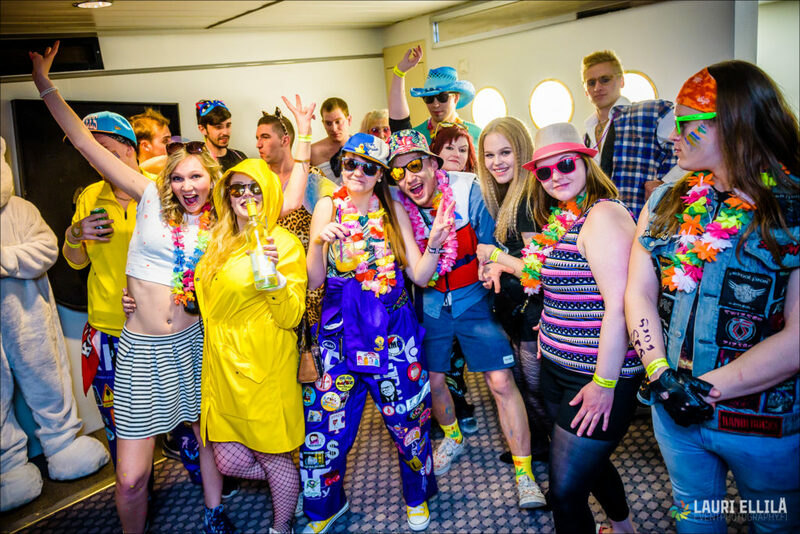 You can dress to the cruise any way you want as long as you are wearing something! We do courage to dress according to the theme of the cruise or students’ festive attire; overalls. Many times we see combinations of the two: overalls on the bottom and theme accessories on the top. We will award the best single costumes and the best group costume. Now’s the time to start planning how your group will bring their A-game and steal the spotlight! The individual costumes are awarded after the task point round and group costume is awarded in the Final Show on the second night of the cruise. More information about the contest you can find from the program. If the theme just isn’t for you or you want to wear something else for the cruise, the easiest way is to dress up in your overalls! It’s always a good and right answer.